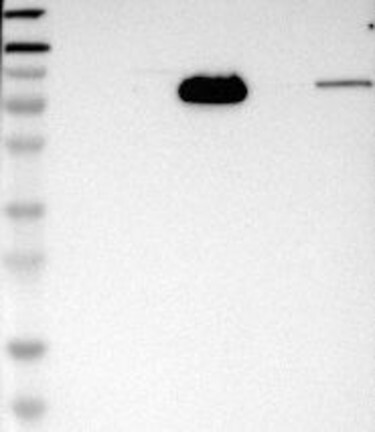 Western Blot: HJURP Antibody [NBP1-47287] - Detection of Human HJURP by Western Blot and Immunoprecipitation. Samples: Whole cell lysate from HeLa (5, 15 and 50 mcg for WB; 1 mg for IP, 20% of IP loaded) and 293T (T; 50 mcg) cells. 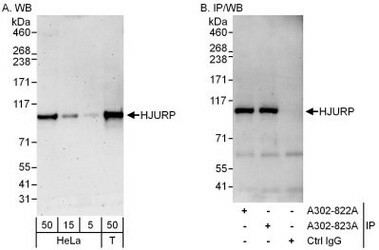 Antibodies: Affinity purified rabbit anti-HJURP antibody was used for WB at 0.1 mcg/ml (A) and 1 mcg/ml (B) and used for IP at 3 mcg/mg lysate. 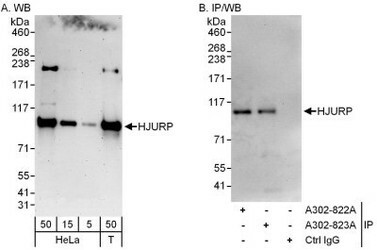 HJURP was also immunoprecipitated by rabbit anti-HJURP antibody, which recognizes a downstream epitope. Detection: Chemiluminescence with exposure times of 3 minutes (A) and 30 seconds (B). Western Blot: HJURP Antibody [NBP1-47288] - Detection of Human HJURP by Western Blot and Immunoprecipitation. Samples: Whole cell lysate from HeLa (5, 15 and 50 mcg for WB; 1 mg for IP, 20% of IP loaded) and 293T (T; 50 mcg) cells. 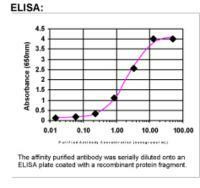 Antibodies: Affinity purified rabbit anti-HJURP antibody was used for WB at 0.1 mcg/ml (A) and 1 mcg/ml (B) and used for IP at 3 mcg/mg lysate. HJURP was also immunoprecipitated by rabbit anti-HJURP antibody, which recognizes an upstream epitope. Detection: Chemiluminescence with exposure times of 3 minutes (A) and 10 seconds (B). 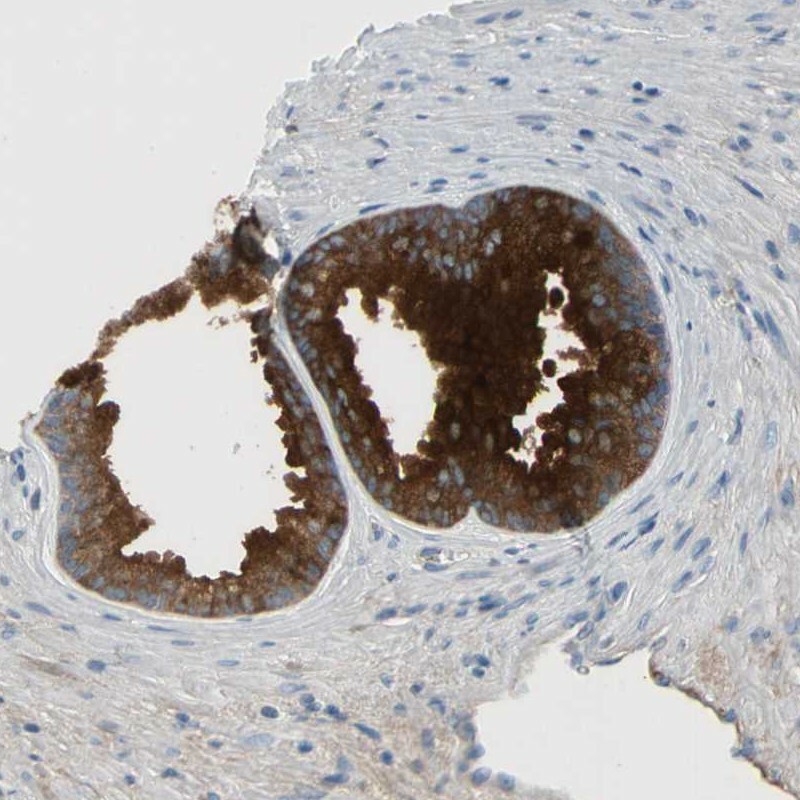 Immunohistochemistry-Paraffin: HJURP Antibody [NBP1-85025] - staining of human prostate shows strong cytoplasmic positivity in glandular cells. 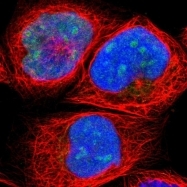 Immunofluorescence: HJURP Antibody [NBP1-85025] - 431 shows positivity in nucleus & nucleoli.